PORTLAND, ME (CelebrityAccess) — Portland's State Theatre, an independent promotion company that operates the State Theatre and Port City Music Hall, and Forefront Partners, the developers of a 30-acre waterfront parcel on the Fore River known as Thompson’s Point have signed an agreement to develop an outdoor concert venue on the site. The concert venue will be located on the southern tip of the Point, as part of a mixed use development that is intended to have residential housing, offices, a circus conservancy and a 5,000-capacity outdoor concert venue. 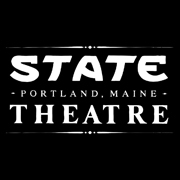 In addition to traditional music concerts, the State Theatre folks will explore other opportunities for the site including festivals, dance, theater, performance art events, winter-themed events, collaborative partnerships with the Circus Conservatory, and much more. The venue will also be available for private events.